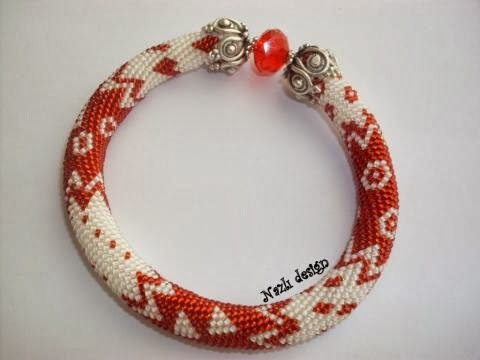 Although the technique that is used to create this bracelet is known commonly as "bead crochet (rope)" it has a different name in Turkey. The Turkish name of this technique is "prison weaving" -or if we want to make a mot-a-mot translation it should be "prison work". Why it is called as "prison work" or "prison weaving"? Because it is very common for prisoners to create their own crafts by using this technique. They mainly use a piece of matress spring as crochet needle and various kinds of beads as well as cotton rope to make their crafts. I used very high quality thread to make this bracelet which makes the bracelet.